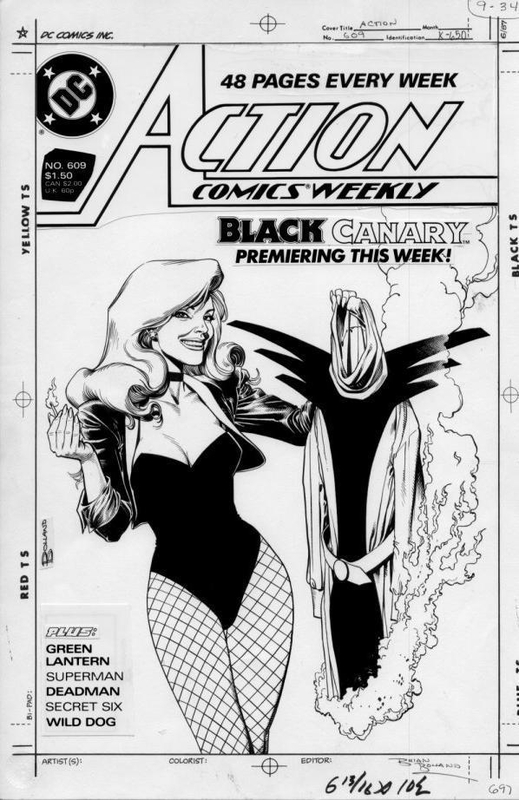 Brian Bolland drew the best Black Canary cover in 1988, for Action Comics #609! This was during the period when DC had booted Superman out of the title and made it an anthology starring various characters that did not have their own series. Bolland's cover is just wicked. 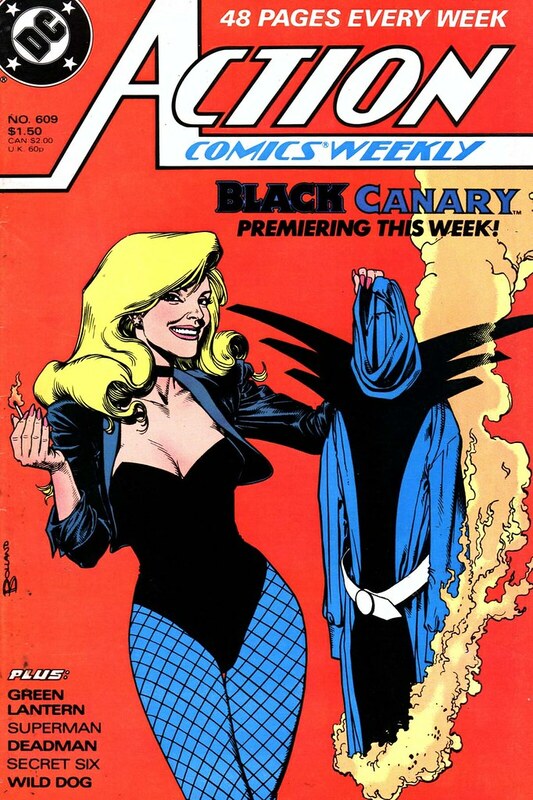 Black Canary gives a mischievous smile to the viewer as she burns her 1980s Justice League era outfit. Bolland is giving a gift to the fans: the return to the classic costume and fishnets! I was happy to see the Black Canary's original outfit--I always think she should be drawn in this one. Here is the original art for Action Comics 609. It looks just as good, if not better, in black and white. This piece is owned by Joseph Melchior, see his gallery at Comic Art Fans. Nuff said.